It's time to come clean; I've hinted at this project long enough. Anyway, at Mirror, a round house was constructed for a switch point. The community continued to grow, and was incorporated as a Village on July 27, 1912. In 1922 the Grand Trunk Pacific merged with the Canadian National Railway, under the name of the latter (CNR). When steam locomotives gave way to diesel, the round house was no longer required, and was removed. The village was no longer needed as a switch point to the extent it had been. Although there is still some rail car switching going on, the population dwindled, and in 2004 the Village 'downsized' to the status of a Hamlet, under the care of the County of Lacombe. Now sporting a population of 500 on a good day, it remains one of Central Alberta's best-kept secrets: a safe, airy rural community strategically located 1/2-way between the City of Lacombe and the Town of Stettler, 40 minutes NE of Red Deer, 90 minutes south of the provincial capital of Edmonton, and 2 1/2 hours NE of Calgary. Our 100 Birthday Party will be taking place over the weekend of July 13-15, and the local Museum will be a focus of the celebrations. I'm a history lover, and although I've been here only 3 1/2 years, I love my wee hamlet home, where every street ends in trees. I decided I wanted to do something, and it came to me some months ago to make a quilt. 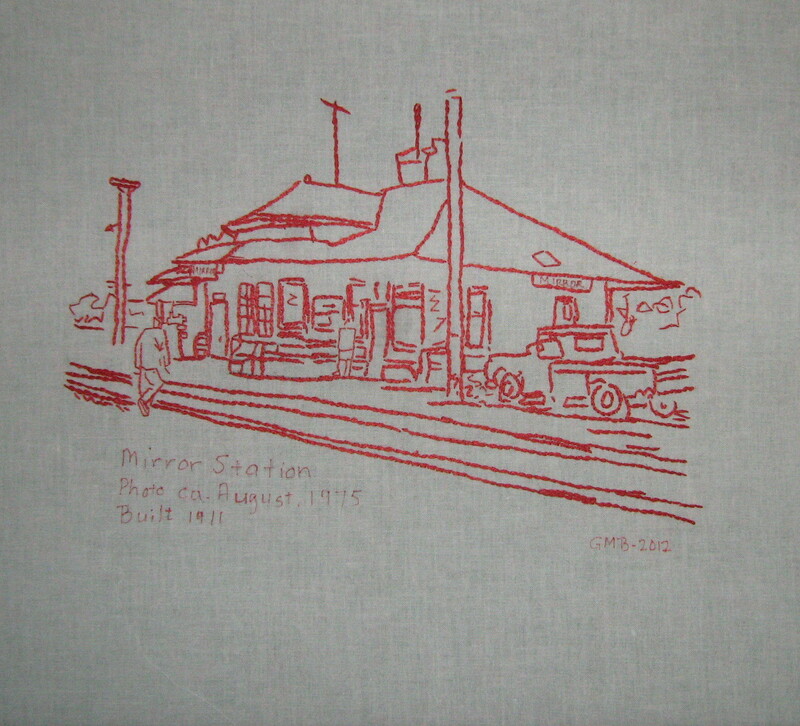 My vision was to sketch out some of the original Mirror landmarks; the best way to do this seemed to be with red work, a type of quilting that became popular in the 1870s -- long before Mirror existed -- but which has experienced revivals from time to time. A neighbour who volunteers at the Mirror & District Museum sent me photos by e-mail, and put me onto a link at the "Virtual Museum" where I found more. 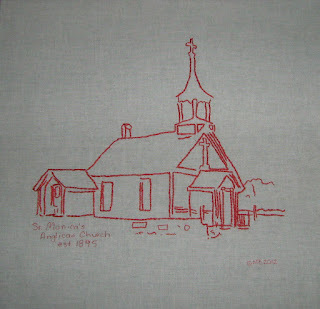 I was able to enlarge and print 6 photos from which I sketched embroidery outlines on bleached muslin. I found a couple of neighbours to help, but I have embroidered 3 of the 6 blocks, and am almost finished the fourth. I expect to receive the finished blocks from my friends sometime this week. 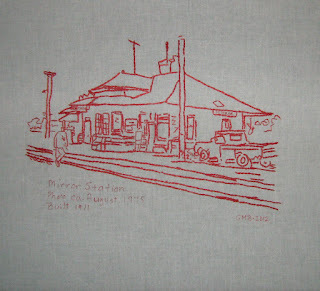 The embroidered blocks will be set between six traditional pieced blocks, done in red and white fabric. I was fortunate to find almost 2 metres of Alex Anderson's red work fabric line, which I believe is no longer in production. I offset this with white-on-white fabric from my local quilt shop -- Caroline's Homespun Seasons in Stettler.The blocks will be quilted and then attached together with sashing in the block-by-block method, using red sashing on the front, and white on the back. The backing is wide white cotton backing, also from Homespun. To date, very few in town know of this project -- but tonight I've been invited to attend a meeting of the Centennial Celebrations Committee, where all will be revealed! (giggle) The plan, you see, is to donate the quilt to the museum to be raffled as a fund-raiser. It will be on display during the Centennial Celebration Weekend and tickets sold then. I imagine the lucky winner will be drawn Sunday afternoon at the closing event(s). If you're planning a trip through Alberta in July, you just might want to take in the party, and enjoy some old-fashioned entertainment, great food, and perhaps a walk through our pretty hamlet. You can keep apprised of events with the Centennial's Facebook page. Your work is very nice. The community we live near is also doing a centennial this year and our local group is trying for 100 quiltlets depicting various aspects of the community. They will be 12 inches square and bordered in black and joined in various panels. Happy Birthday to Mirror. Your quilt looks like it will be a wonderful way to commemorate 100 years plus earn some funds for the museum. I love history. Every summer we would travel to the Pacific Northwest to visit my husband's family and every year would try to choose a different aspect of adventure to entertain our children and one year we made a point to stop at all the local museums along the way. What a treasure they are! 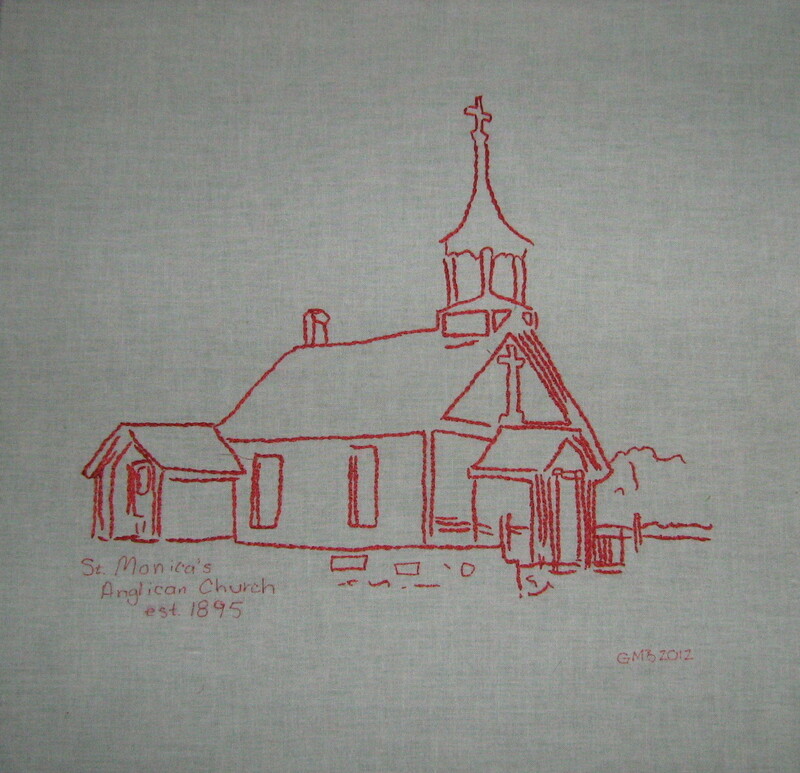 this redwork is really lovely! What a wonderful project to be working on and to donate. Your redwork stitching looks great & I look forward to seeing the completed quilt. What a really lovely idea. I'm sure your quilt will be a very popular. lovely and so meaningful. The combination of piecing and embroidery is a wonderful balance. 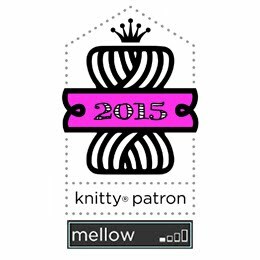 That will be a lovely quilt - will you sell tickets to the raffle over the net also? I'm new to your blog and also a history lover. I think your quilt is a wonderful gift to the community so I hope that whomever wins it donates it back to the museum as that is where it should reside. Don't forget to post teh finished project as I'm looking forward to seeing it. It is my town's (Ogema Sask) 100th anniversary this year and they have a category for a commerative wall hanging so I think that's what I will do.